Unlike the subject of the documentary, Fyre Fraud, sets a goal and for the most part, delivers on what it originally promised. 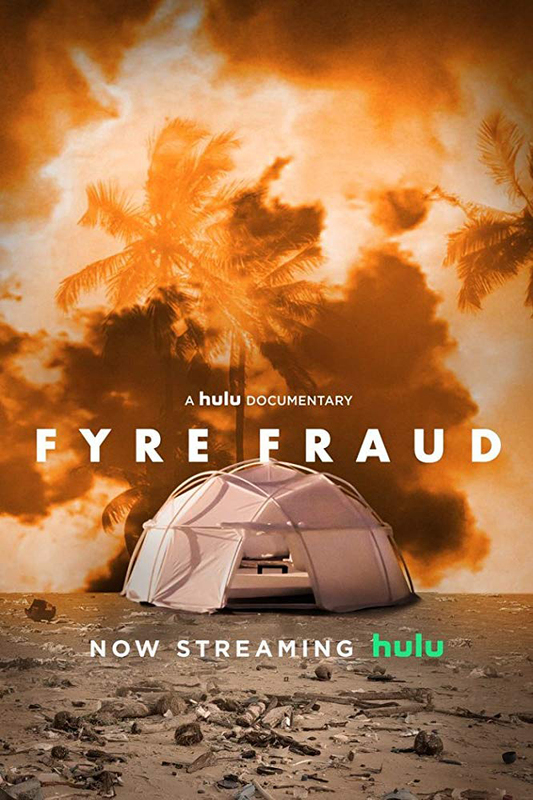 Days before the release of Netflix’s documentary Fyre: The Greatest Party That Never Happened,Hulu chose to stealth-release Fyre Fraud, their own documentary about the controversy that was Fyre Festival. Directed by Jenner Furst and Julia Willoughby Nason, Fyre Fraud recounts the events of the Fyre Festival and the bad decisions that occurred both before and after the disaster. It starts with background on the man behind the festival, Billy McFarland. An entrepreneur from a young age, McFarland grew up running different businesses, his most popular being on the basis of selling what is basically exclusivity to the millennial generation. So, when the opportunity arose to create and sell the hottest festival event of the generation, he took the position and ran with it. Fyre Festival, as it was advertised, should have been an illustrious and extravagant event with the biggest names in music performing, the most trending influencers attending and the hottest parties all occurring on a private island. Although the “festival” was on a private island, the artists set to perform never showed up, the extravagant villas that were promised didn’t exist and there was no sense of organization. Fyre Fraud uses different resources from people who were watching the event unravel from the outside-in, as well as a few people who were behind the scenes as it came crashing down. Different social media strategists, Fyre Festival production members and even McFarland himself round out the cast of interviewees, adding multiple dimensions to the story. The structure of the documentary allows viewers to understand the many red flags that were ignored in the festival’s creation, such as the six-month deadline or the shady deals McFarland kept partaking in. The documentary starts strong with McFarland’s life and the events of Fyre Festival, but there is a subtext that is introduced alongside those two about the power of influence and the role social media plays on people’s lives. While that theme is merely touched on in the beginning, it’s dropped and never expounded upon to its full potential. The series of events presented to the viewer feels capable and well-paced for the first two-thirds of the documentary. The build-up and excitement that leads into the disaster that is the Fyre Festival is successfully achieved and reaches its peak with footage from the first visitors to the island. Once the festival is revealed to be a failure though, the series of events presented feels rushed and jumps away from the event itself and into the social and legal repercussions. The evidence presented is informative and tightly put together to create a well-rounded story with both a strong start and finish. Although Fyre Fraud is a solid documentary, it makes a few odd decisions that include sometimes utilizing unrelated scenes from pop culture in between shots of interviews. It’s not a huge drawback, but the unfocused intro to the film does give a sense of identity crisis before it finds its footing. An interesting story about poor planning, risky finance choices and the power of advertising is turned into a competent documentary with nothing new to say. However, when the story is as unbelievable as this one, there isn’t going to be much more to add.